We are a ministry made up of redeemed sinners who have a heart for those who have faced unwanted pregnancies in the past or are facing a crisis pregnancy right now. We recognize that amid that mix are women who have miscarried and men and women who are suffering due to active or passive participation in decisions to circumvent a child’s birth. Our mission is to share Christ’s love by offering non-judgmental care to those who are suffering from a past decision to terminate pregnancy as well as those dealing with unwanted or crisis pregnancy. Members of our team understand. We also are people in need of compassionate care. Some of us chose abortion in our past. Others helped to make it happen. None of us is without sin. Whether you are in need of prayer, guidance, post-abortive support or other resources, we want to help. Or call 1-800-395-HELP to find a a pregnancy center near you. Stand with dozens of other Christians as peaceful witnesses alongside Wisteria Drive in Germantown, MD to prayerfully intercede for those pursuing abortions across the street. Be blessed as your prayers bless others. Meet hurting women where they are and provide hope outside of abortion. During designated hours, Sundays through Tuesdays, as women enter or exit the Germantown abortion clinic. This office, directly across the parking lot from the Germantown abortion clinic, is a conduit to pregnancy centers. 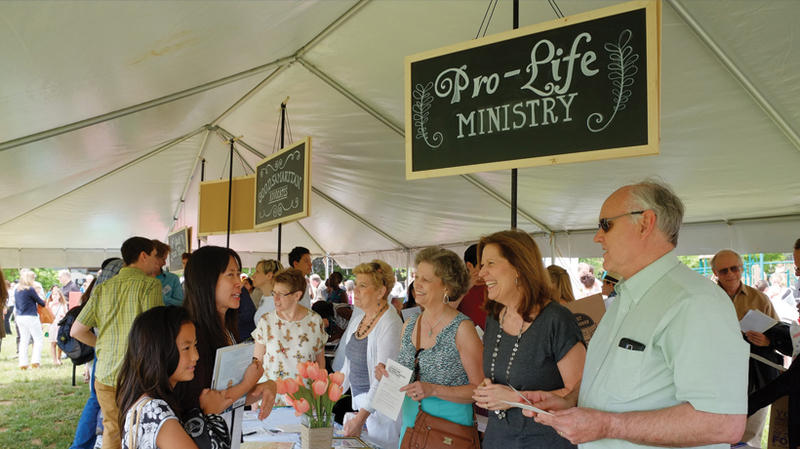 Volunteers who staff Germantown Pregnancy Choices compassionately listen and pray with those amid crisis pregnancies and, when clients permit, make arrangements for them to visit a pregnancy center, free of charge. Volunteers are especially needed Sundays through Wednesdays. Held annually in January on or around the anniversary of Roe v. Wade. A group will usually rendezvous at the church at 10 a.m. to take Metro together.